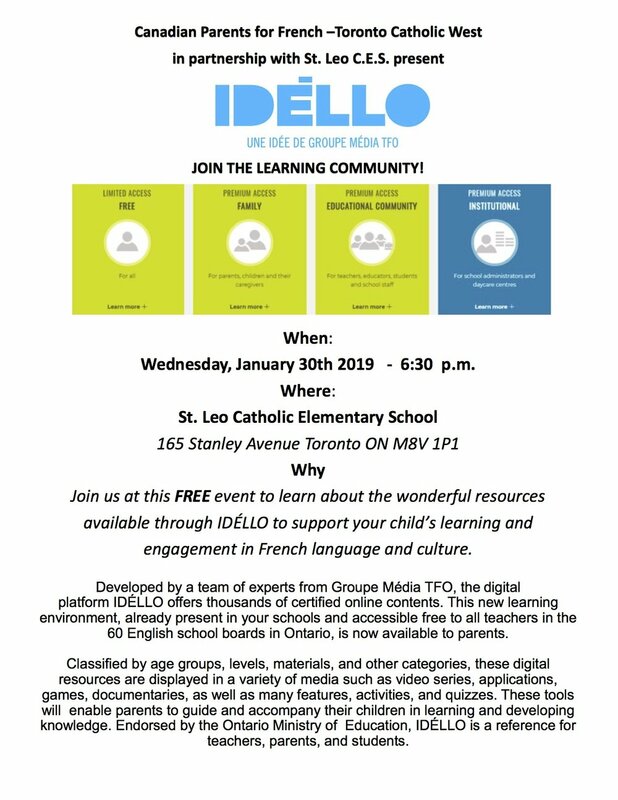 St. Leo’s is hosting a FREE Idello workshop open to all members of the community on Wednesday, January 30th at 6:30pm. Idello is a digital platform developed by the Groupe Média TFO that offers thousands of certified online content classified by age groups, levels, materials, and other categories .These digital resources are displayed in a variety of media such as video series, applications, games, documentaries, as well as many features, activities, and quizzes. These tools will enable parents to guide and accompany their children in learning and developing knowledge. Endorsed by the Ontario Ministry of Education, IDÉLLO is a reference for teachers, parents, and students.